Although pit bulls are the most lovable and faithful dogs, their loyalty is questioned by some folks who think that these dogs are extremely aggressive and barbarous. We at Pitbulls Bible help them restore faith in pits. 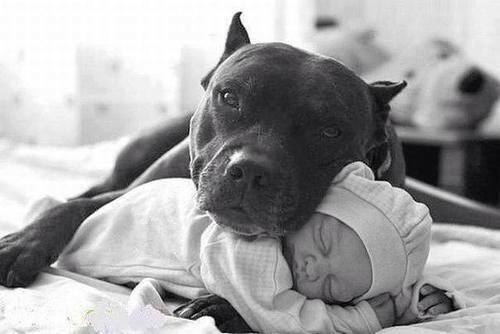 Here’s a collection of some images that convey the sincerity of the sheen bond between pit bulls and their owners. 3: Didn’t your heart just melt? It is utterly a futile thought that they are dangerous because even the AKC has confirmed the breed’s propensity towards “courage and intelligence”. They are extremely friendly and lovable dogs which make them the best pets to live with.